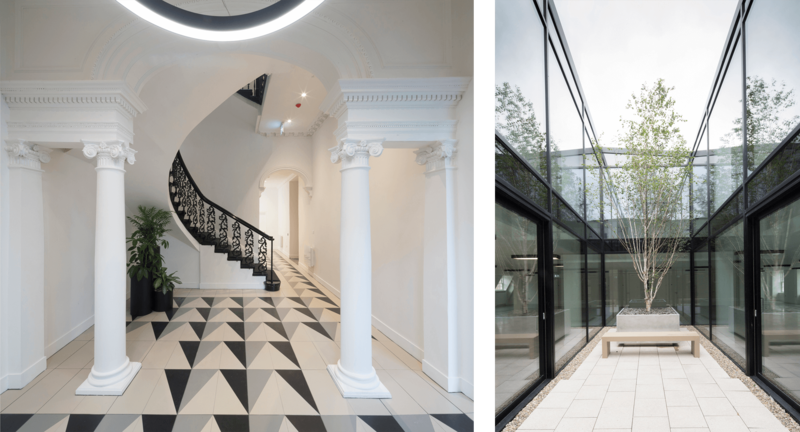 A building steeped in history. 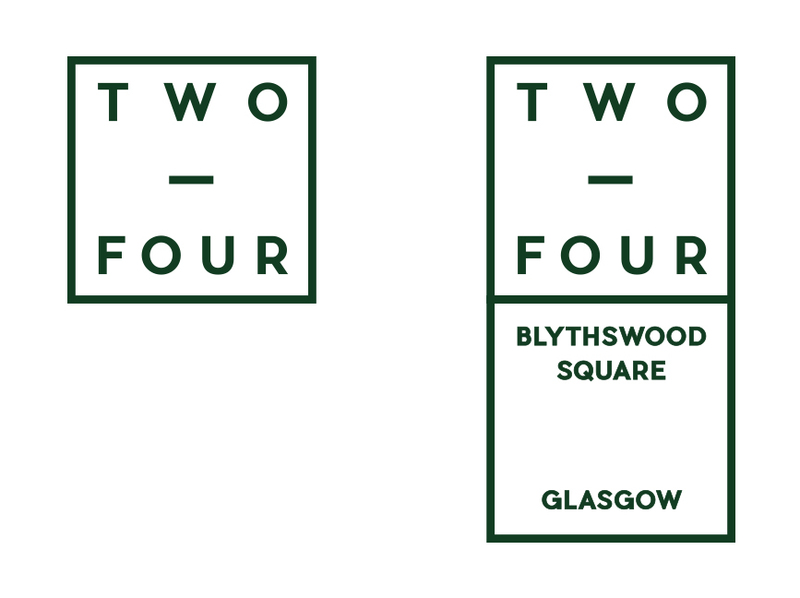 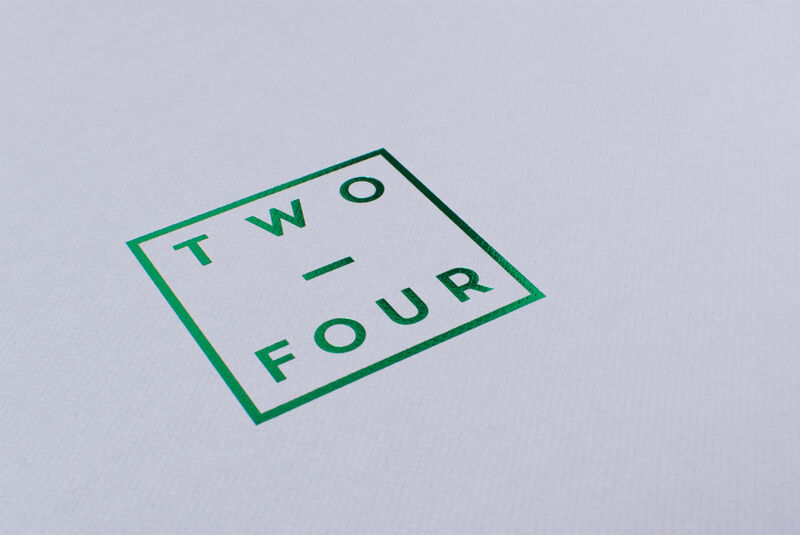 Certain projects are a genuine pleasure to be invited to work on and none more so than the branding and marketing campaign for 2-4 Blythswood Square, a classic Glasgow building in a historical setting. 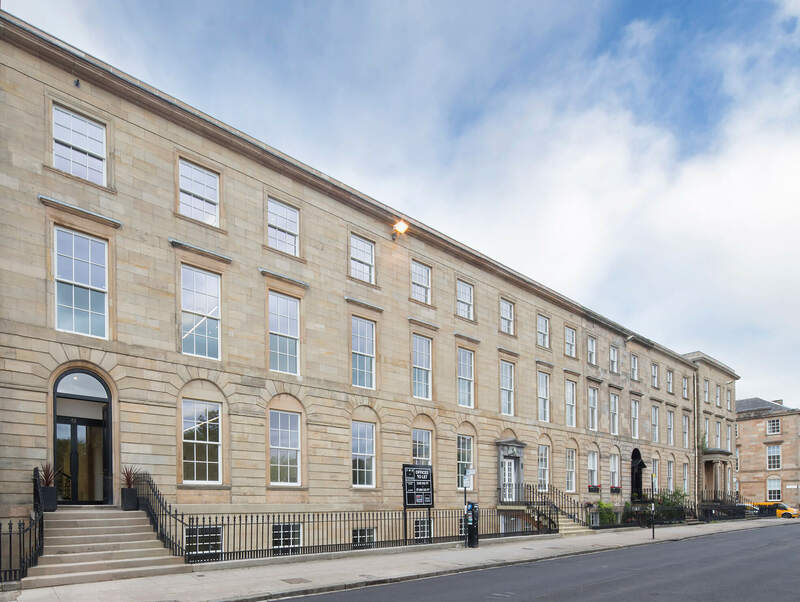 From being the starting point of the Monte Carlo Rally in 1955 to the present home of the Blythswood Hotel, Blythswood Square enjoys a chequered history spanning the last few centuries and has a compelling story to tell. 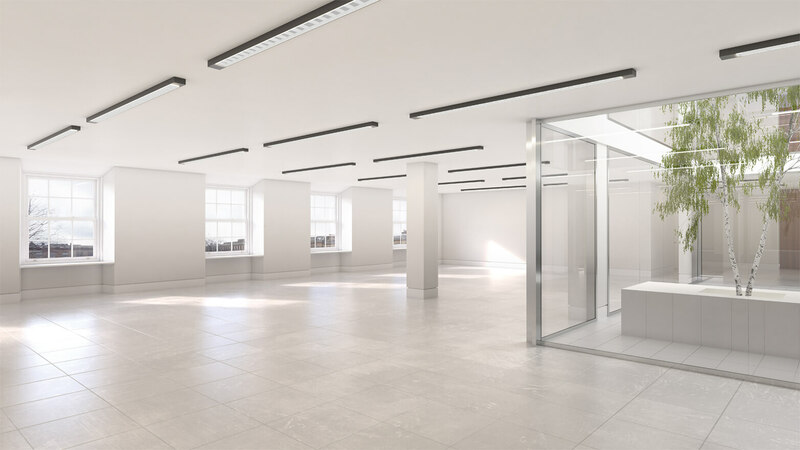 Located on the northern edge of the square, 2-4 Blythswood Square has undergone a comprehensive refurbishment programme to create 27,500 sq ft of outstanding office accommodation. 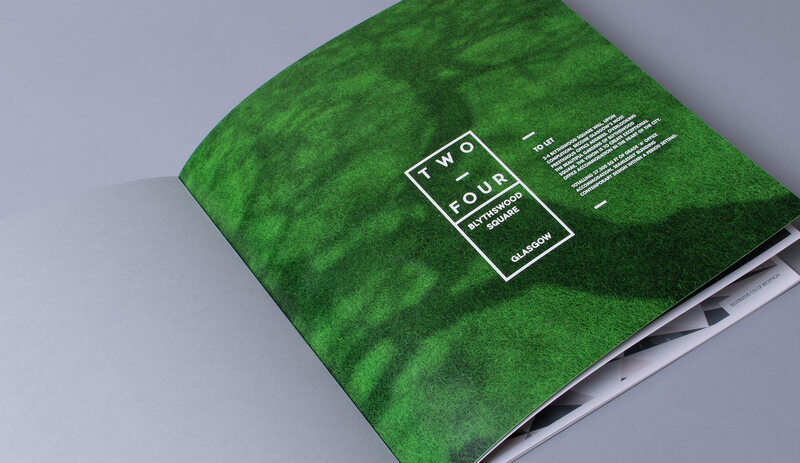 Following the creation of a contemporary brand mirroring 2-4’s stunning new interior, a striking brochure was produced incorporating foil blocking and embossing to reflect the building’s outstanding quality. 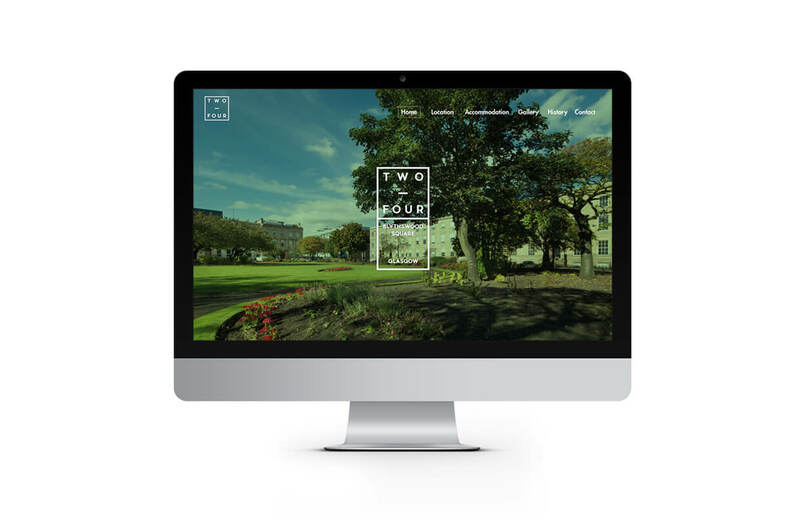 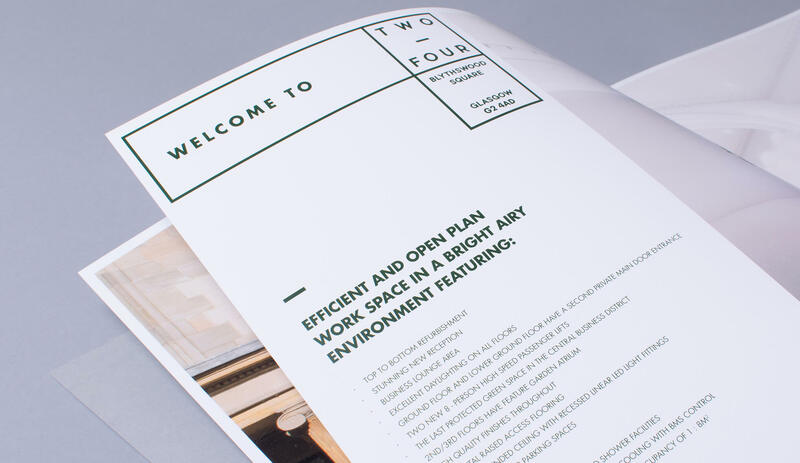 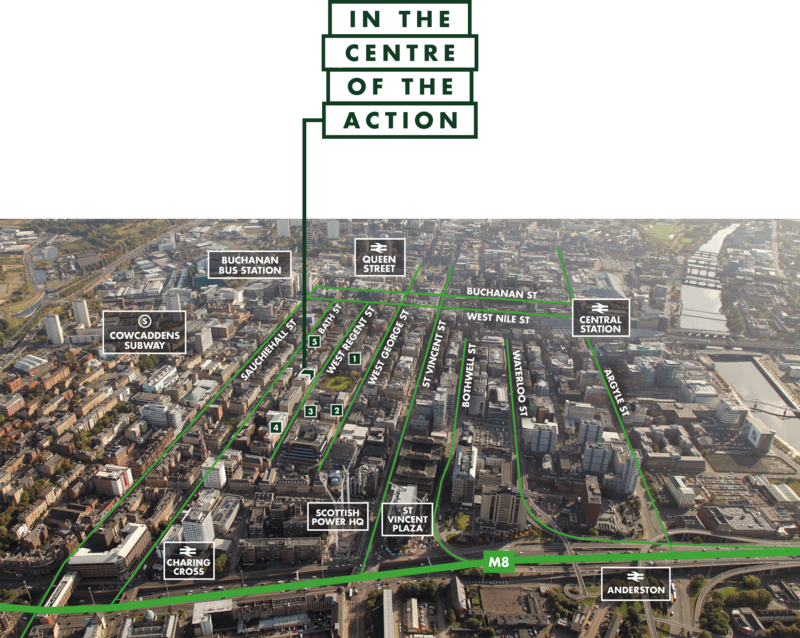 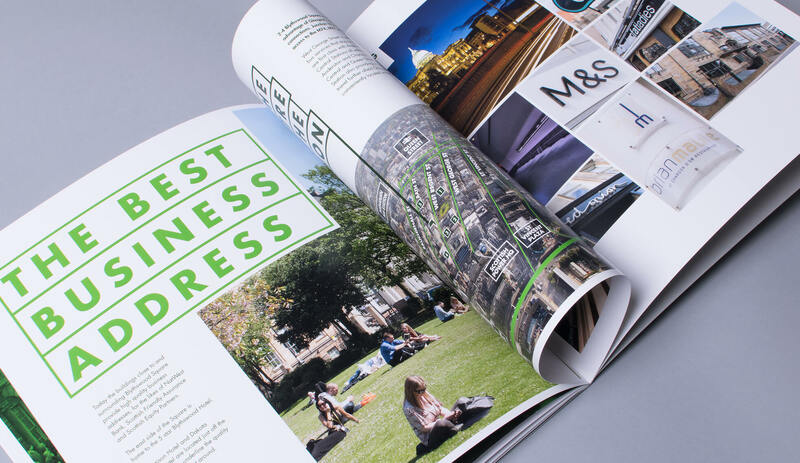 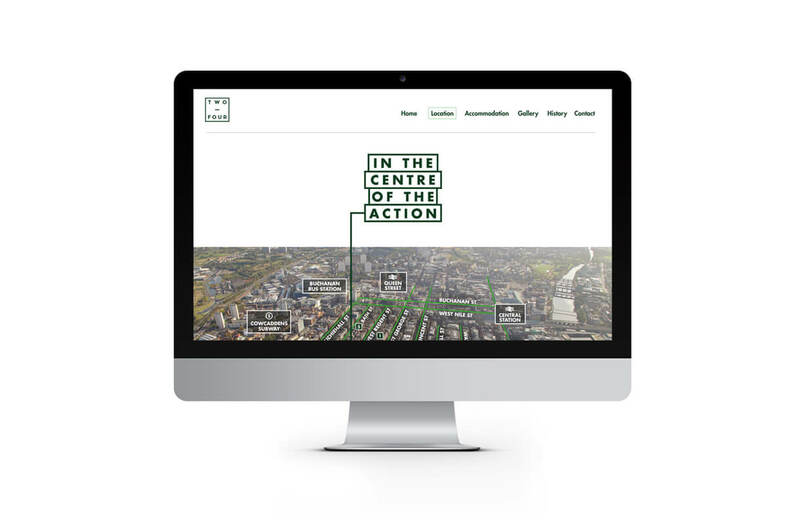 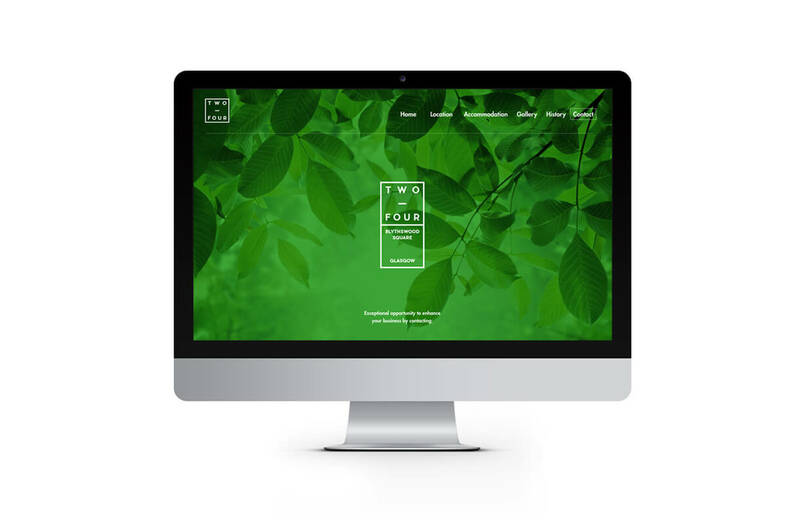 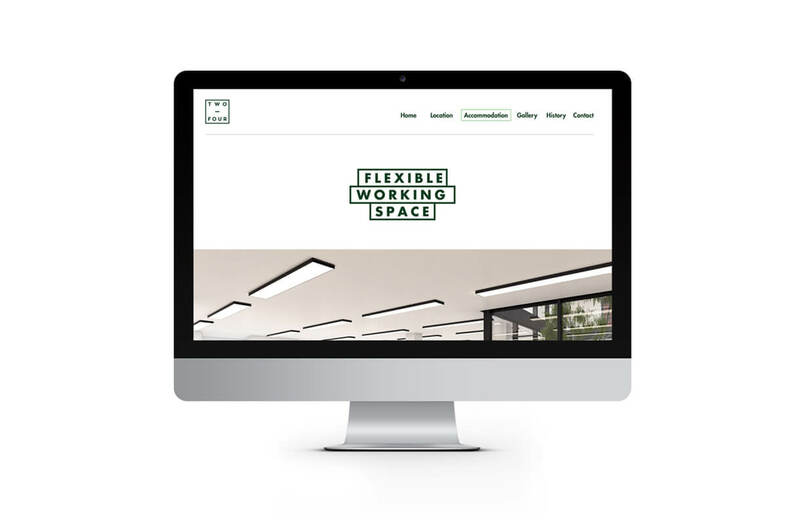 To focus on the many advantages afforded by 2-4, which benefits from being located in the last green space in Glasgow’s central business district, a high impact website was required. 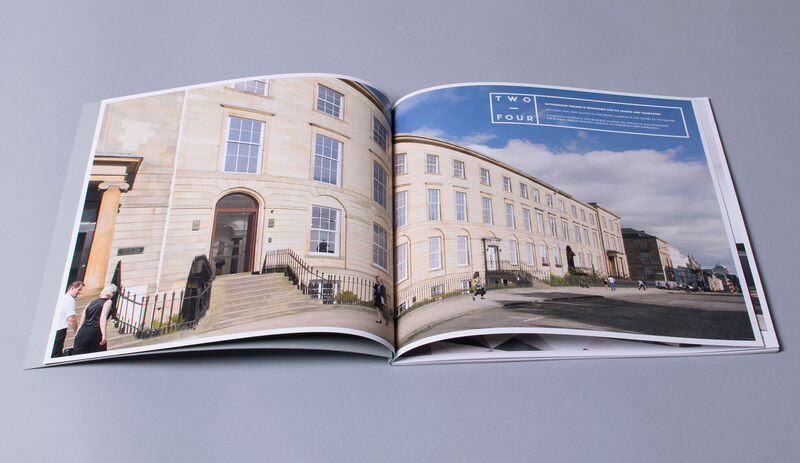 A short film on the home page introduced the building, providing context to its leafy setting within Blythswood Square. 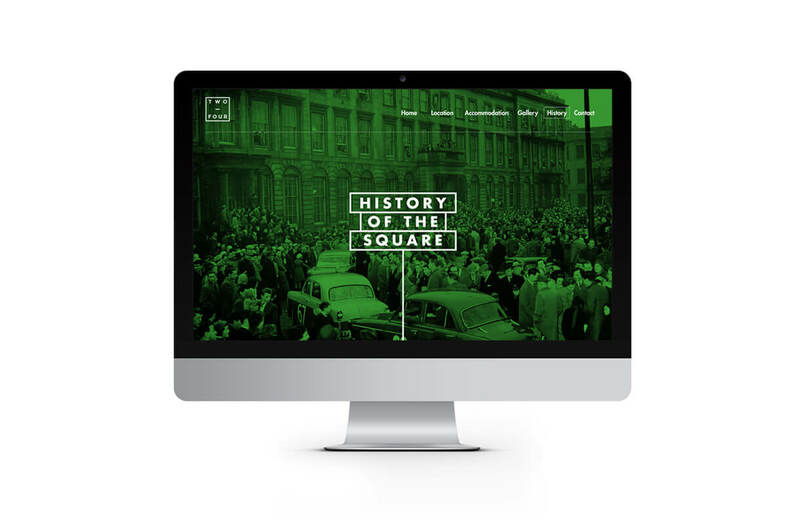 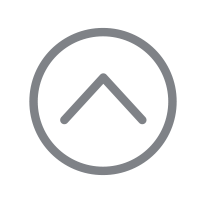 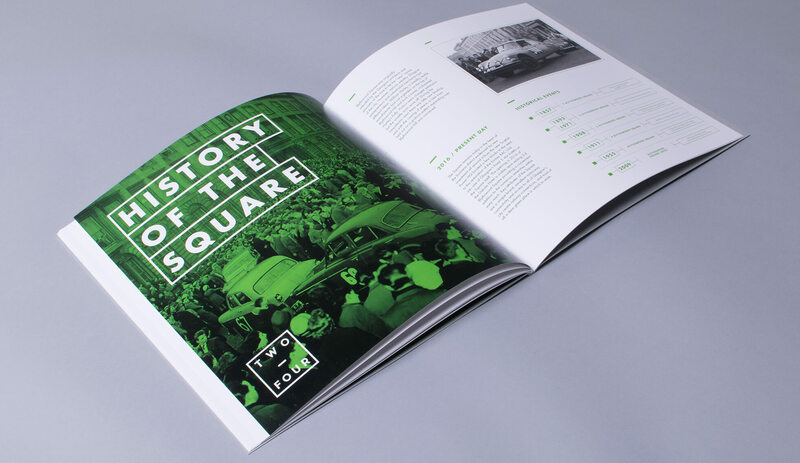 Introductory page headings were set within boxes reflecting the style of the identity, with some including an animated element to guide viewers through different sections of the site.